In the coming years, as more transistors are packed into ever smaller areas within computer chips, MIT engineers say cellphones, laptops, and other electronic devices may face a higher risk of overheating, as a result of interactions between electrons and heat-carrying particles called phonons. The researchers have found that these previously underestimated interactions can play a significant role in preventing heat dissipation in microelectronic devices. Their results are published today in the journal Nature Communications. In their experiments, the team used precisely timed laser pulses to measure the interactions between electrons and phonons in a very thin silicon wafer. As the concentration of electrons in the silicon increased, the more these electrons scattered phonons and prevented them from carrying heat away. "When your computer is running, it generates heat, and you want this heat to dissipate, to be carried out by phonons," says lead author Bolin Liao, a former graduate student in mechanical engineering at MIT. "If phonons are scattered by electrons, they're not as good as we thought they were in carrying heat out. This will create a problem that we have to solve as chips become smaller." On the other hand, Liao says this same effect may benefit thermoelectric generators, which convert heat directly into electrical energy. In such devices, scattering phonons, and thereby reducing heat leakage, would significantly improve their performance. "Now we know this effect can be significant when the concentration of electrons is high," Liao says. "We now have to think of how to engineer the electron-phonon interaction in more sophisticated ways to benefit both thermoelectric and microelectronic devices." Liao's co-authors include Gang Chen, the Carl Richard Soderberg Professor in Power Engineering and the head of the Department of Mechanical Engineering; Alexei Maznev, a senior research scientist in the Department of Chemistry; and Keith Nelson, the Haslam and Dewey Professor of Chemistry. 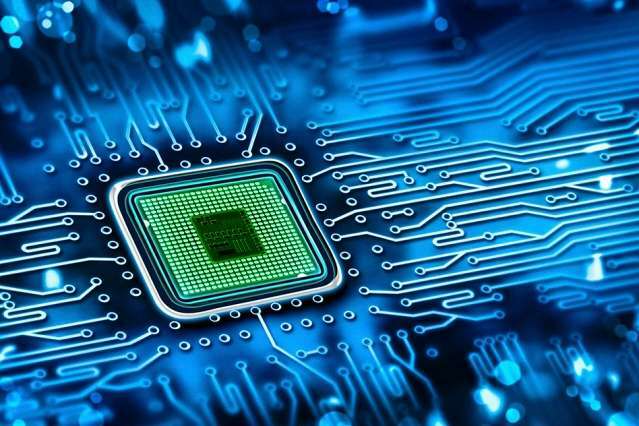 In transistors made from semiconductor materials such as silicon, and electrical cables made from metals, electrons are the main agents responsible for conducting electricity through a material. A main reason why such materials have a finite electrical resistance is the existence of certain roadblocks to electrons' flow—namely, interactions with the heat-carrying phonons, which can collide with electrons, throwing them off their electricity-conducting paths. Scientists have long studied the effect of such electron-phonon interactions on electrons themselves, but how these same interactions affect phonons—and a material's ability to conduct heat—is less well-understood. "People hardly studied the effect on phonons because they used to think this effect was not important," Liao says. "But as we know from Newton's third law, every action has a reaction. We just didn't know under what circumstances this effect can become significant." Liao and his colleagues had previously calculated that in silicon, the most commonly used semiconductor material, when the concentration of electrons is above 1019 per cubic centimeter, the interactions between electrons and phonons would strongly scatter phonons. And, they would reduce the material's ability to dissipate heat by as much as 50 percent when the concentration reaches 1021 per cubic centimeter. "That's a really significant effect, but people were skeptical," Liao says. That's mainly because in previous experiments on materials with high electron concentrations they assumed the reduction of heat dissipation was due not to electron-phonon interaction but to defects in materials. Such defects arise from the process of "doping," in which additional elements such as phosphorous and boron are added to silicon to increase its electron concentration. "So the challenge to verify our idea was, we had to separate the contributions from electrons and defects by somehow controlling the electron concentration inside the material, without introducing any defects," Liao says. The team developed a technique called three-pulse photoacoustic spectroscopy to precisely increase the number of electrons in a thin wafer of silicon by optical methods, and measure any effect on the material's phonons. The technique expands on a conventional two-pulse photoacoustic spectroscopy technique, in which scientists shine two precisely tuned and timed lasers on a material. The first laser generates a phonon pulse in the material, while the second measures the activity of the phonon pulse as it scatters, or decays. Liao added a third laser, which when shone on silicon precisely increased the material's concentration of electrons, without creating defects. When he measured the phonon pulse after introducing the third laser, he found that it decayed much faster, indicating that the increased concentration of electrons acted to scatter phonons and dampen their activity. "Very happily, we found the experimental result agrees very well with our previous calculation, and we can now say this effect can be truly significant and we proved it in experiments," Liao says. "This is among the first experiments to directly probe electron-phonon interactions' effect on phonons." Interestingly, the researchers first started seeing this effect in silicon that was loaded with 1019 electrons per cubic centimeter—comparable or even lower in concentration than some current transistors. "From our study, we show that this is going to be a really serious problem when the scale of circuits becomes smaller," Liao says. "Even now, with transistor size being a few nanometers, I think this effect will start to appear, and we really need to seriously consider this effect and think of how to use or avoid it in real devices."